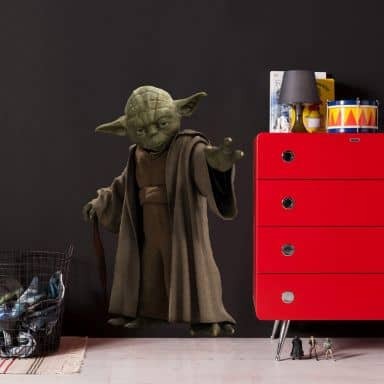 Decoration has the same value for children as for adults: personalised space is also important for the kids. 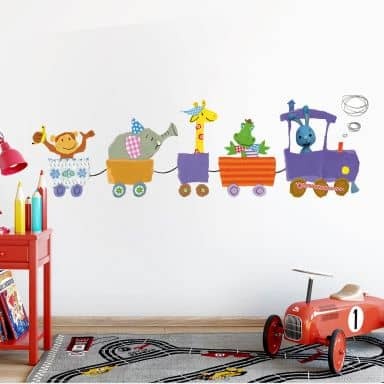 With wall stickers the children' bedroom can be easily and quickly transformed to closely match their preferences. Children are very demanding customers! 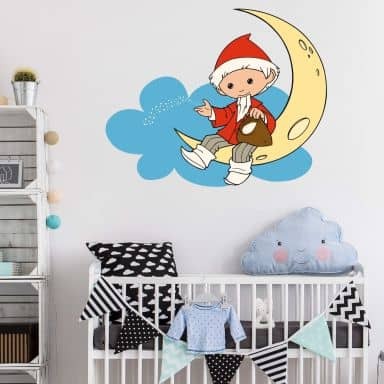 At wall-art.com there is a large selection of products for children. 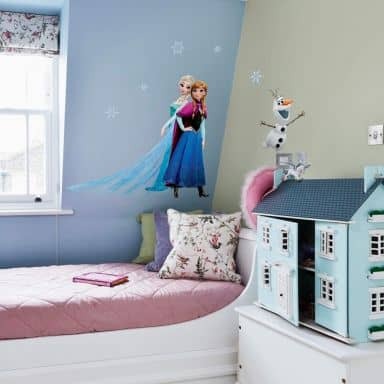 Wall stickers with charming princesses, ponies and fairies, as well as pirates, dinosaurs and cars offer a lot of variety for both girls and boys. 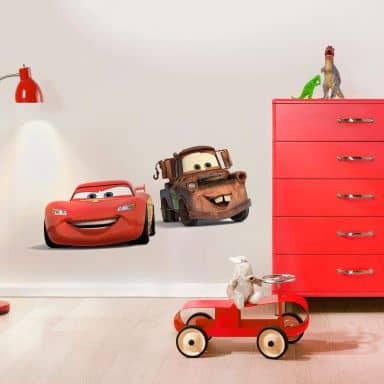 Kids will love their new decal decoration! 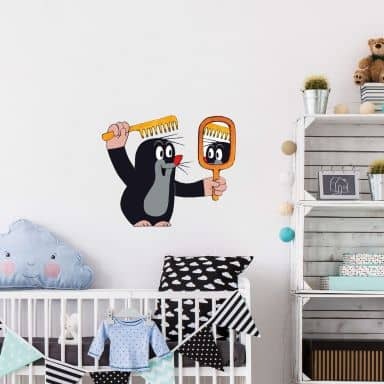 Another possibility for the wonderful child's room decor are our large sets, with many colourful wall stickers covering the entire walls. Whether amazing underwater world, the jungle or the wild, funny Indians with teepees, there are many options to choose from. 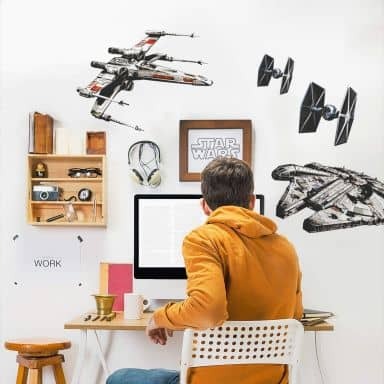 The wall sticker kits can easily be cut apart and thus provide scope for individual design. Covering up the walls with stickers is a great fun! 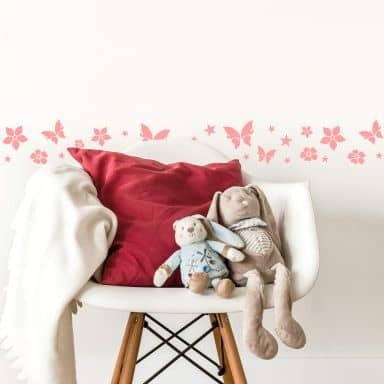 Our wall stickers for kids are suitable for woodchip wallpaper, fine plaster, and many other surfaces such as cabinets, mirrors, and windows. 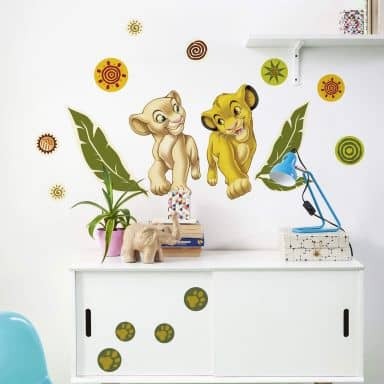 With our quality wall decals you can decorate the child's bedroom in an instant. Take a look around and become inspired by our decorating ideas! 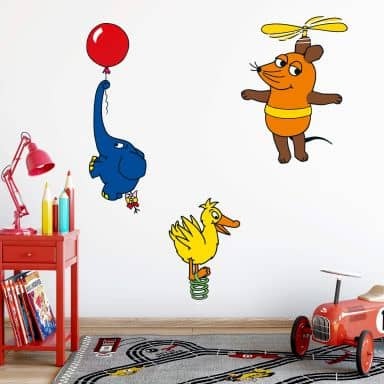 The largest collection of wall stickers for the kids room. Animals, heroes, transportation, princesses and much much more! These little paws show you the way around the nursery. Three friends on enjoyable horse-ride! Two friends on a ride! Three friend making fire to warm them up. Beautiful fairy to decorate your kid's room! Cute family of birds on a flowery branch! A beautiful sticker set for your little princess. A wonderful set full of blossoms and butterflies. 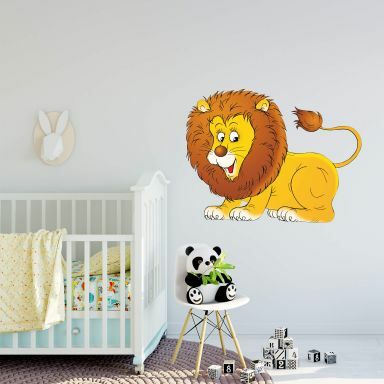 The King of the Animals adds adventure and wilderness into the bedroom.